As I close my eyes and drift away to a land where there is love, health, peace, and blessings. I wanted to take the time to think and reflect. The truth is that I am absolutely ecstatic about the Chicago Cubs baseball victory. I was so overcome with joy, watching the game and also seeing the fans reactions, it was such a mesmerizing feeling. I can only imagine the energy and buzz at the Wrigley baseball Field, the city in Chicago, and fans all around the world. What made me happy was seeing fans here, wearing the Chicago Cubs clothing and hats. This victory was felt across the globe. This is no ordinary victory. It offered a hope for the everyone, who finally won to re-claim the title of the world series after 108 years. This is quite incredible. For me, their winning was actually quite personal. I love all of the players and the teams, but this win was unique. It is very special. 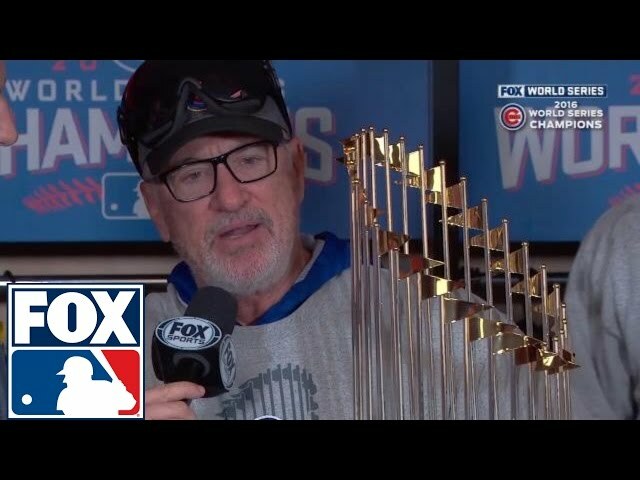 It signaled a deep caring, and commitment towards a brighter tomorrow for the generations before who are committed fans, and also the generations that are to arrive, the children, the cubs of the future. It has offered a hope to this city, which has been plagued with so many shootings and deaths. Following this series has been a great learning experience for me. It has highlighted the importance of the game to me. It has taught me it importance and impact on a cultural level, I am grateful for this learning. It is with these words, I share your happiness, dear teams, fans, supporters, and all of the great individuals who had an impact upon this game. To both teams, to reach the finals is a great achievement in itself. To the winners we are so proud of your victory. Thank you for this hope to you city, and our country. Notes: These thoughts were originally hand written on November 4th 2016. All images have been taken from our twitter timeline. Please connect to @MsSsHussain for source tweets. Thank you.